Just tilt the 3D Bookmark back and forth and watch the dinosaurs walk and fly. These Moving 3D Bookmarks also have a 6 inch ruler on the back. 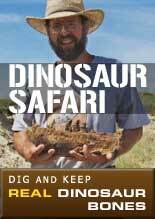 These are sure to please book and dinosaur lovers alike. A	Running Trex skeletons escaping the fire of its final days. B	Walking Trex out for a stroll looking for food. C	Flying Pterosaurs ruling the skies. D	Walking Triceratops across the desert.